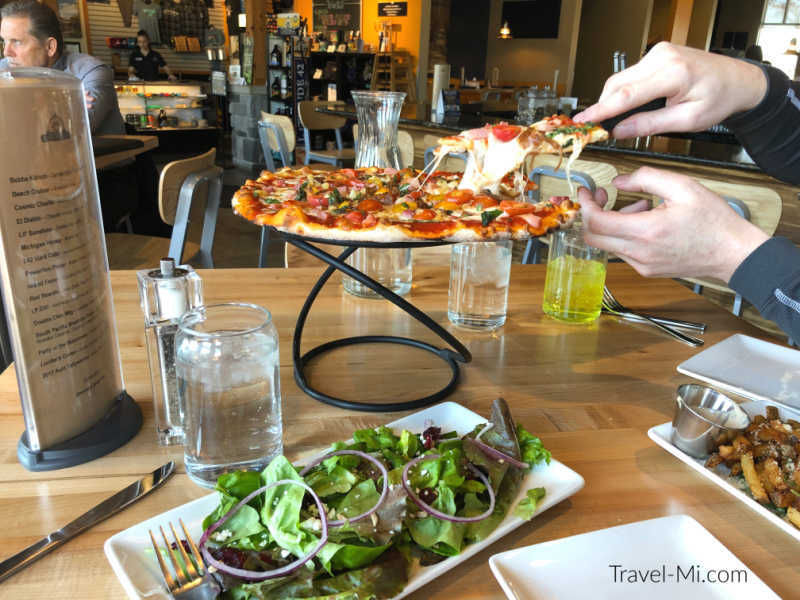 Are you looking for the BEST Kalamazoo Restaurants? We've got the list! After living in Kalamazoo for over 15 years, we have the pulse on the best eateries!! The majority of my favorite restaurants and eateries are located in downtown Kalamazoo as I love the atmosphere and flavor of the area. I haven't included many chain restaurants as I prefer to support local businesses. If you are looking for chain restaurants you can find a wide variety near the Crossroads Mall on Westnedge Avenue. Zazios-Radisson Plaza Hotel, 100 W. Michigan Ave, Kalamazoo, MI 49007. Zazios is our go-to Kalamazoo restaurant when we want a special night out. Located in the gorgeous Radisson hotel, this restaurant is in the heart of the bustling downtown area. On warm summer nights, we are compelled to frequent this beautiful restaurant more often as we love to sit outside on their cheerful patio while enjoying a glass of wine with dinner. The chefs at Zazios create excellent seasonal menus which keeps the menu fresh and exciting. As such, we always call to find out when their Butternut Ravioli is back on the menu as it’s hands-down one of my favorite meals. Taco Bob’s-300 S Kalamazoo Mall #171, Kalamazoo, MI 49007 (not to be confused with the inside shopping mall, this restaurant is located downtown). And now for something completely casual. Taco’s! This is the local's go-to place for tacos, salsa and burritos. 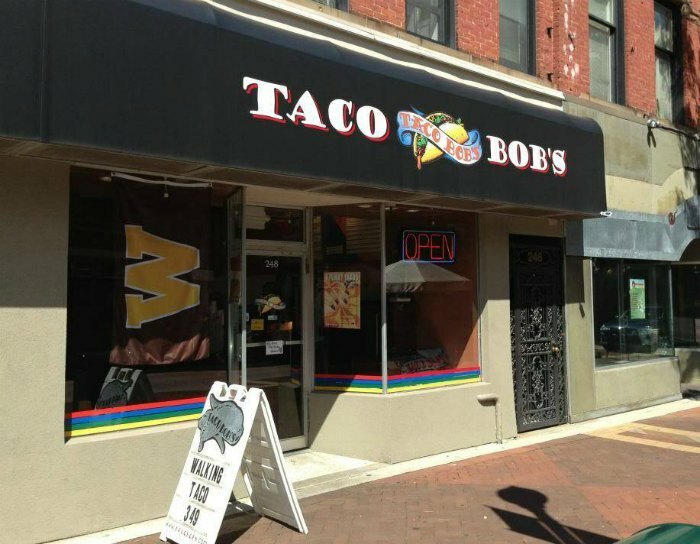 Located downtown, Taco Bob's is a laid-back restaurant where you eat outside in the summer. Grab a taco and enjoy the evening strolling along the downtown mall window shopping. Rustica-236 S Kalamazoo Mall, Kalamazoo, MI 49007 Rustica is an amazing quaint restaurant located in the downtown Kalamazoo Mall. Enjoy rustic European cuisine while savoring a luscious glass of wine. It's fun to watch the chefs working behind the counter. We love to begin our meal with the Artisan Cheese Board which begs you to dip nuts and grilled bread into gooey pots of honey and jam. The Black Angus Filet Mignon and the Scottish Salmon dishes are favorites of ours. We are always impressed with the presentation of our meals and the service is great. 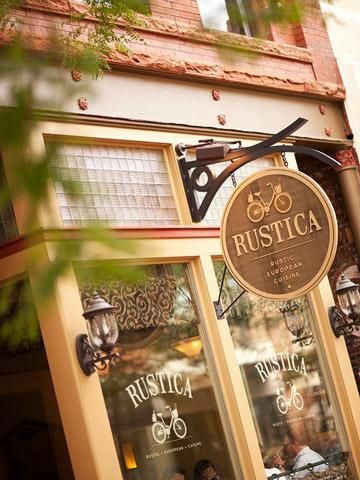 Rustica is one of my favorite Kalamazoo restaurants to enjoy a delicious dinner after a busy day. This craft brewery also delivers with their pizzas, salads, burgers and more! We designed our own pizza and it was awesome! Oh, and get the truffle fries! Serious yum! 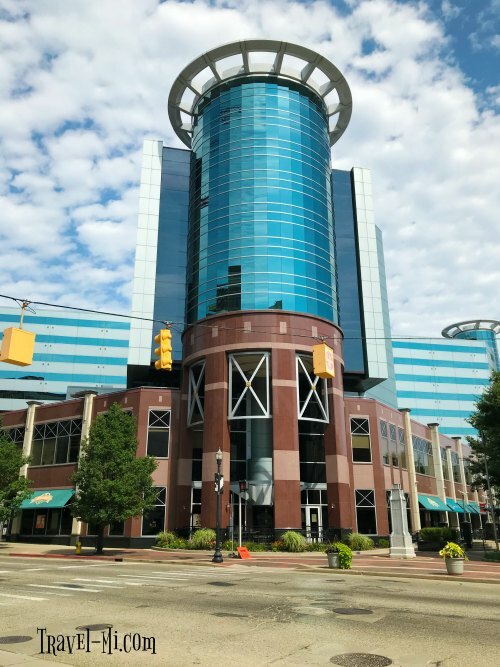 Epic Bistro and Central City Tap House- 359 S. Kalamazoo Mall, Kalamazoo, MI 49007 (not the shopping mall but downtown).These two restaurants are connected in Downtown Kalamazoo and are perfect choices for a classy dinner before the Art Hops. My friends and I enjoy Central City's martini's and casual upbeat atmosphere. Chris and I love eating at Epic Bistro for a celebratory night out (to clarify, that's any night I'm not cooking). We ALWAYS get the wood fired pizzas...they are that good. 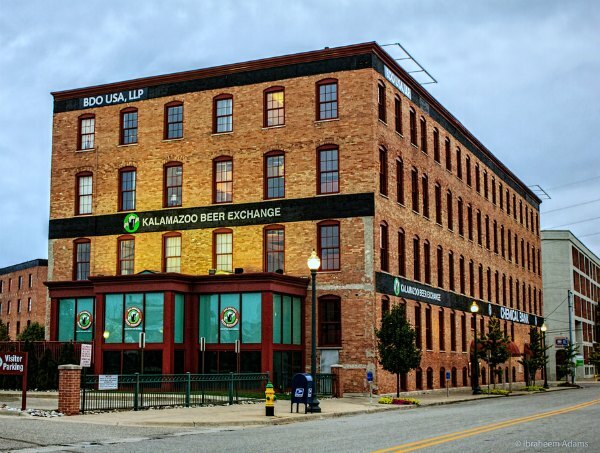 Kalamazoo Beer Exchange-211 E Water St, Kalamazoo, MI 49007. The beer exchange is such a cool concept! It’s exciting to watch prices of beer rise and fall every few minutes depending on the beverage's popularity on the huge beer exchange board. Snag a second glass of your favorite brew the second the price falls! 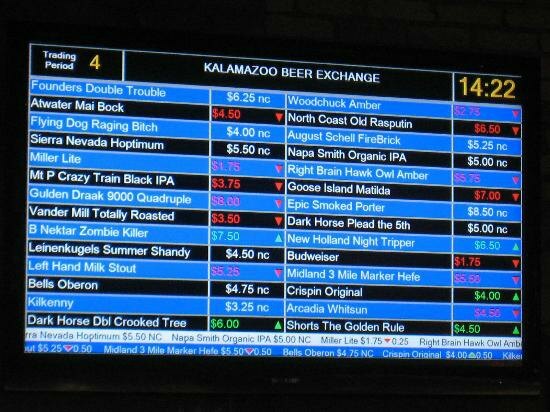 Kalamazoo Beer Exchange has a pretty impressive food menu too. I love their Grilled Maple Salmon! Bravo-5402 Portage Rd, Portage, MI 49002. About Bravo: They catered our wedding, soooo.... We love their Italian Cuisine but you can get steaks and seafood too. Great atmosphere! Sprinkle Road Tap House (located inside Ziegler Motorsports) 5001 Park Cir Dr, Kalamazoo, MI 49001. 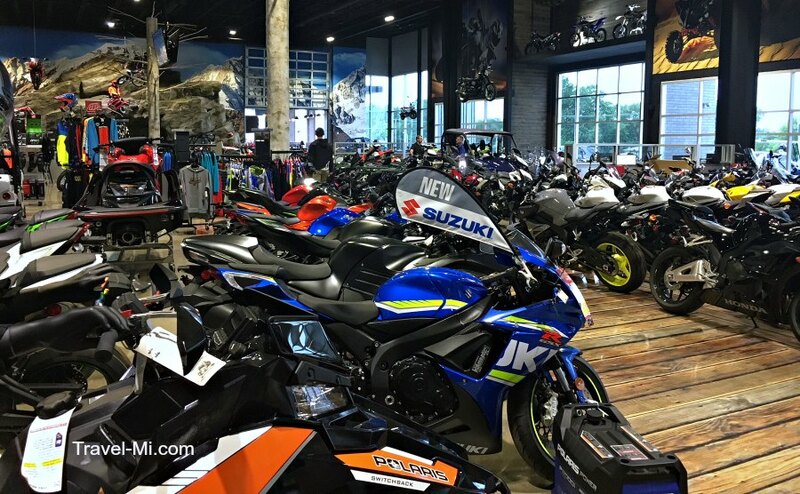 Where else can you drink cold brews, dine on burgers or salads while ogling shiny new snowmobiles, motor cycles, quads and anything else motorized that causes Tim the Tool Man to grunt in approval? This place rocks for ambiance, excellent food and originality. Noodles and Company-5363 W Main St, Kalamazoo, MI 49009. Ok, ok, I broke my "no chain restaurants" promise (head hanging in shame)...BUT, I would be doing you a disfavor by leaving them out. Noodles and Company is so freakin' good (and affordable....and you don't tip). Win-win-win. Chris loves the Buttered Noodles with extra spice or the Pesto Cavatappi. I love the Pasta Fresca for the immense flavors of tomatoes and spinach. Of course, we always get side dishes of their Tomato Basil Bisque. Their Pot Stickers are yummmy too. 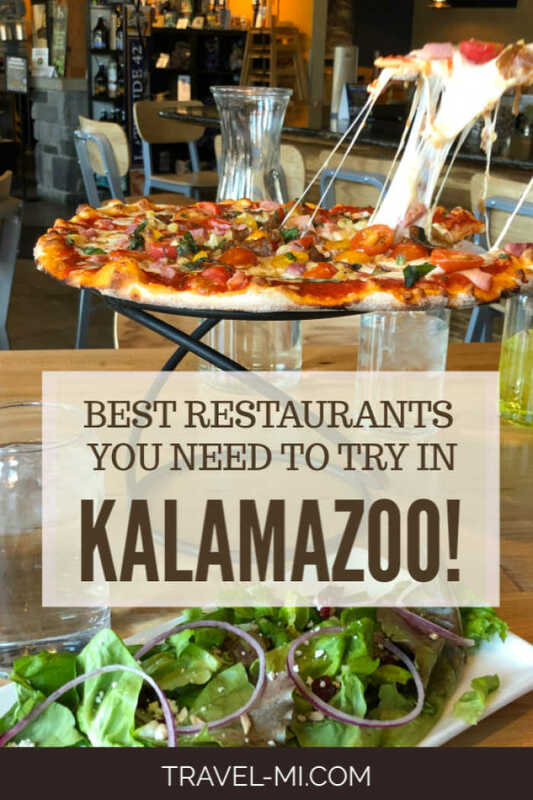 We hope you enjoy our favorite Kalamazoo Restaurants! Need Things To Do In Kalamazoo? Click HERE!